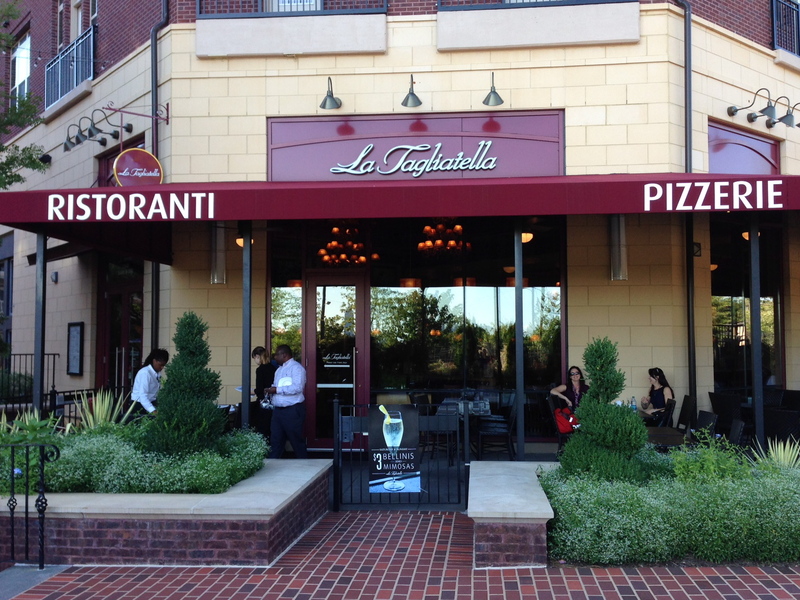 On a recent weeknight, Date Night gets invited to a tasting at La Tagliatella in the Emory Village retail complex. I don’t get over here much, and I gaze longingly at the General Muir (Date Night, 8/2/13) as I pull into the lot, remembering what a fun time we had there. I am here tonight at the invitation of the “Mayor of Atlanta Bloggers”, Malika Bowling, who writes the entertaining Atlanta Restaurant Blog. When Malika invites you to a meal, a good time is soon to follow. La Tagliatella operates over 160 restaurants in Europe and a few in the United States, which gets them the moniker of “Cheesecake Factory of Europe” by some critics. They used to have two Atlanta locations, this one and one in Midtown. 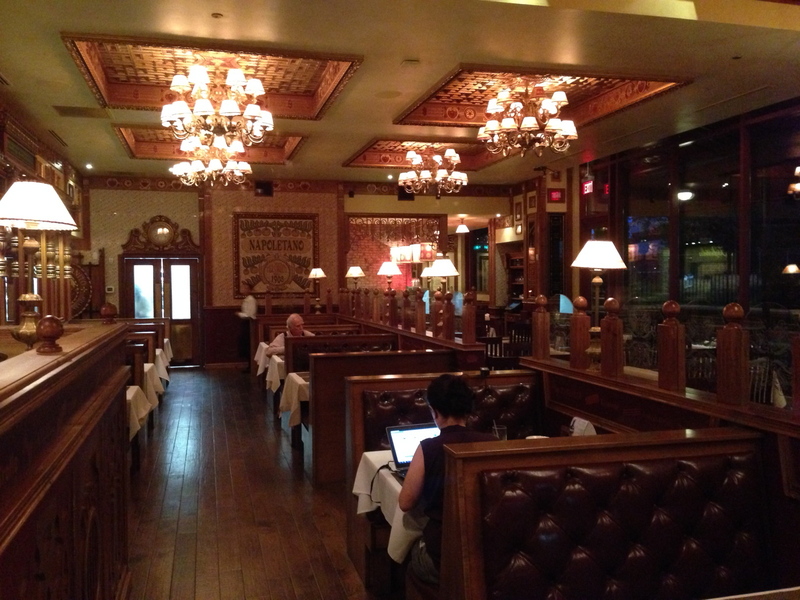 The Midtown location closed without much fanfare earlier this year. This location could use a little “love”, and that’s why a group of foodies are invited tonight. 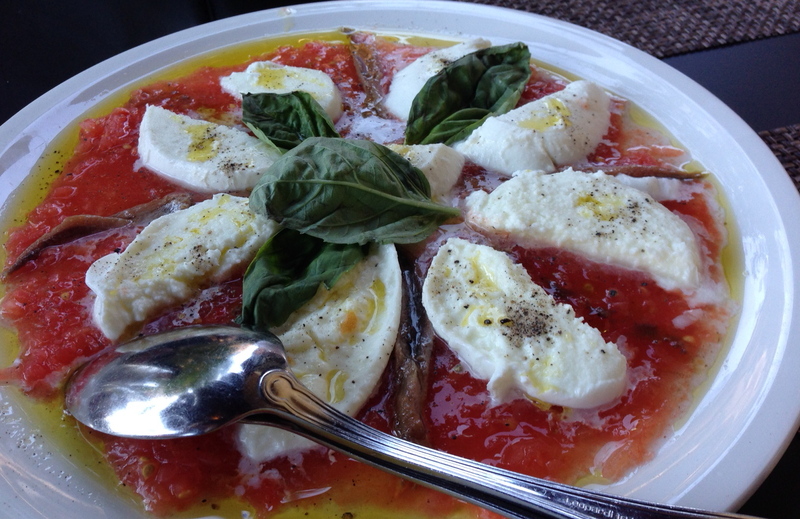 Eating on the patio on a rare, cool summer night, we start off with an interesting take on the caprese salad. Instead of sliced tomatoes, the tomatoes are chopped. I especially enjoy the hunks of mozzarella cheese. Tagliatella’s pizzas are wood-fired, but are not the Neapolitan crusts that you may be used to. The crust is very thin and crispy and reminds me more of a flatbread than a pizza. 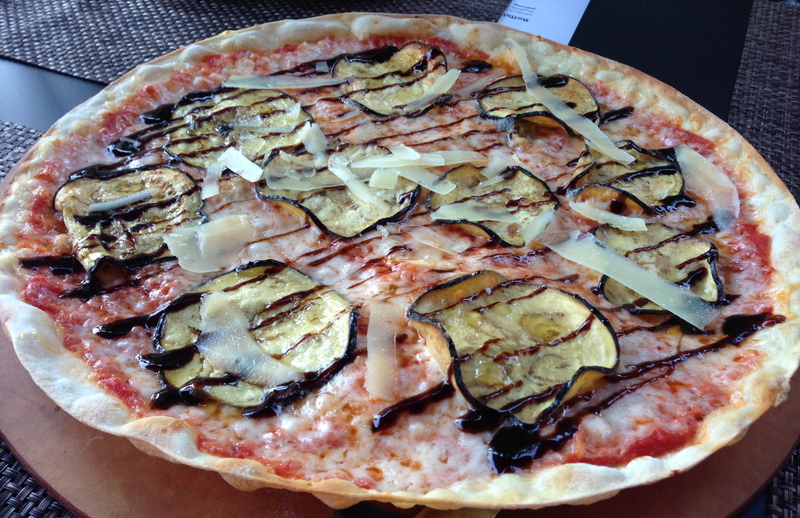 The fried eggplant on this pizza is perfect and this dish was one of the favorites of many in attendance tonight. I’m not sure if it’s a coincidence, but tonight’s meal is totally vegetarian. Next up is the butternut squash cuore. That’s a heart-shaped pasta for those of you (like me) who didn’t know. I don’t usually go for cream sauce, but this lighter sauce worked well with the pasta. I really enjoyed this dish. 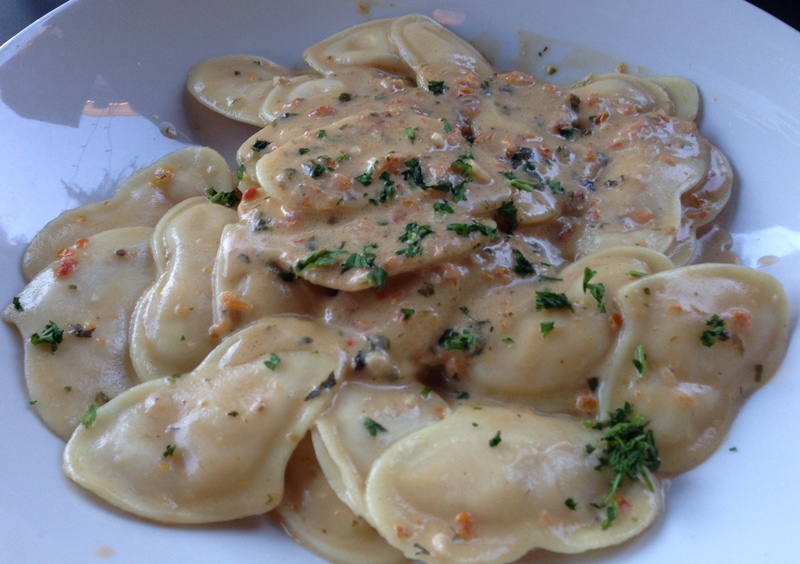 For those of you who like cheese, the tortellone pasta in a quattro formaggi sauce is for you. 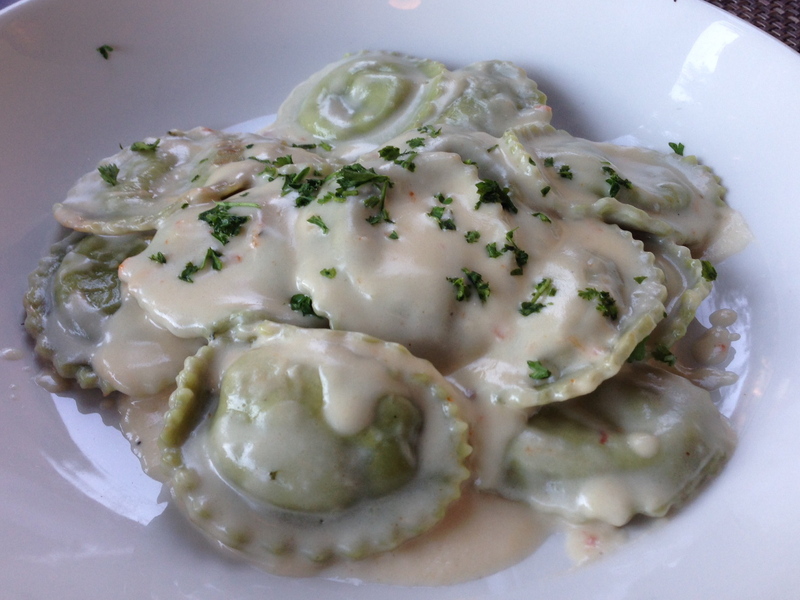 The green pasta is stuffed with mozzarella cheese and the cheese sauce has four other cheeses in it. Our early-twenty something son had some of these for lunch the next day and really enjoyed them. 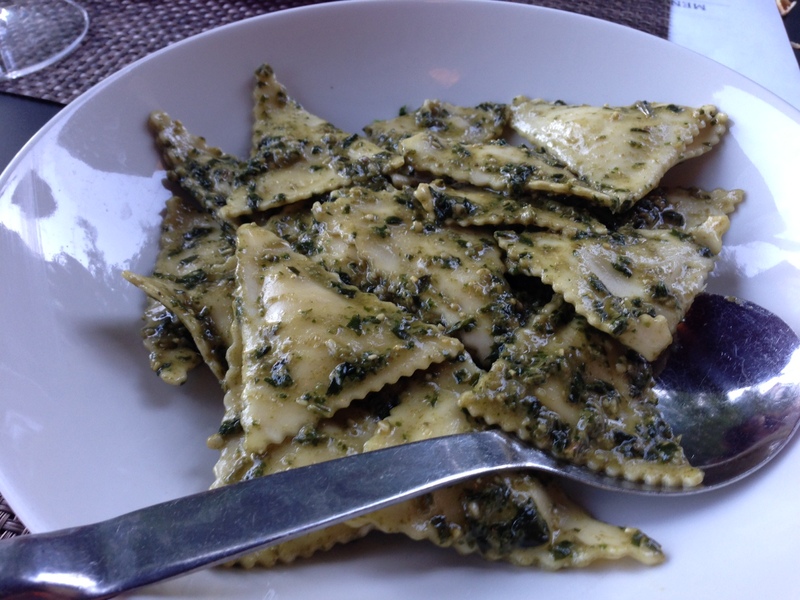 The last pasta presented is triangles stuffed with gorgonzola cheese and pear. It comes with a pesto sauce. The dessert draws raves from my fellow foodies. The bocconcino is the best of two worlds. 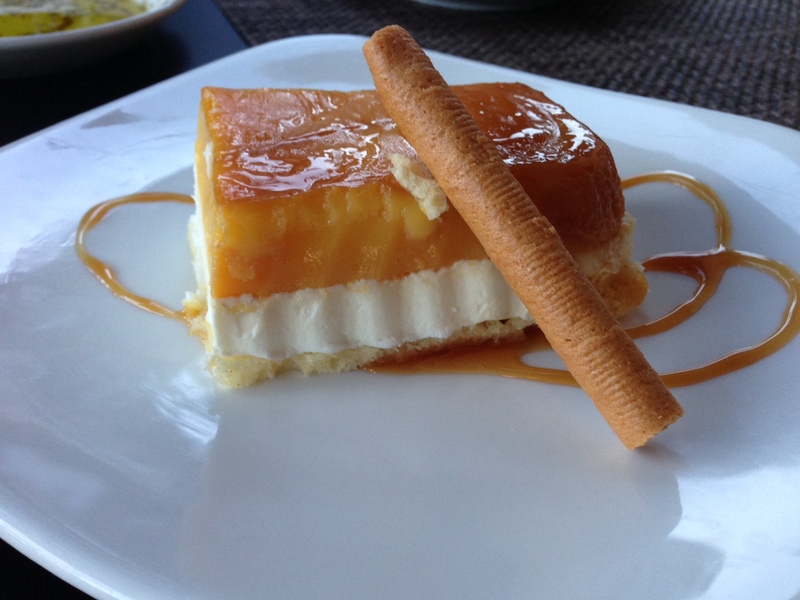 They take a light cheesecake and cover it with custard and caramel. It’s an excellent way to finish a hearty Italian meal. It’s light enough to take away that heavy feeling you get after all of those carb-filled pastas. 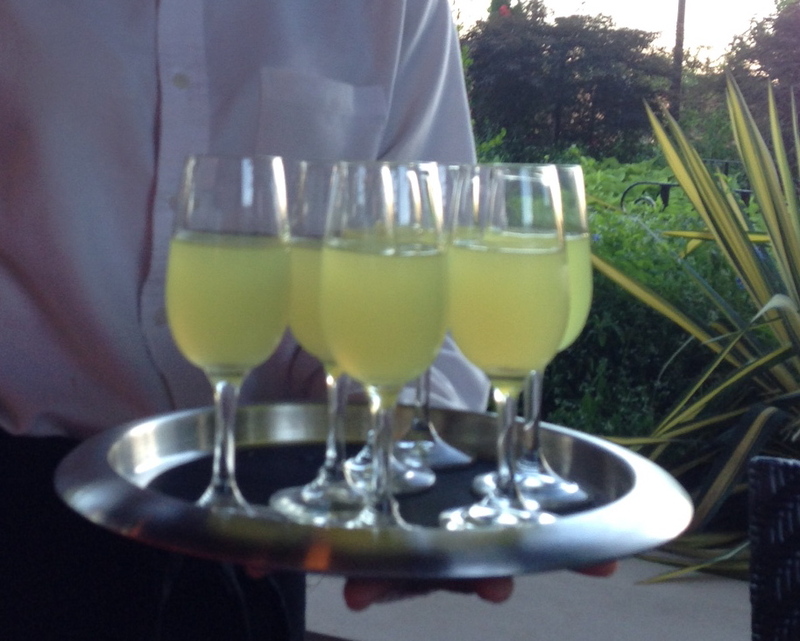 While you are at it, why not try the limoncello. It’s lemony and refreshing and it’s how the Italians like to end their nights. The Verdict: The food is enjoyable, but not worth a drive if you don’t live near Emory. I worry about this place as it was a quiet night here while the nearby Marlow’s and Tin Lizzy’s were hopping. Let’s hope La Tagliatella gets a little positive buzz and people start eating here more often. Disclaimer time: All food bloggers who get their meals for free should make note of it in their posts. Since this was a food media event, I did not pay for my food at La Tagliatella. My prose and opinions, however, are priceless. Thanks to Malika for the invitation and to La Tagliatella GM James Slappy for hosting us with his friendly staff.